I’m about to start a fight in your family because it has repeatedly caused friendly disputes in mine over the years. Mom’s peanut butter cups may not be Velatis fudge that prompted lines at 9th & G Sts. NW for 116 years before metro construction closed the store, but my mom gives personal bags nowadays instead of leaving out a plate of her homemade peanut butter cups. Normally, I write about statues around town, but the blog is about Washington life so I thought I’d share her recipe. 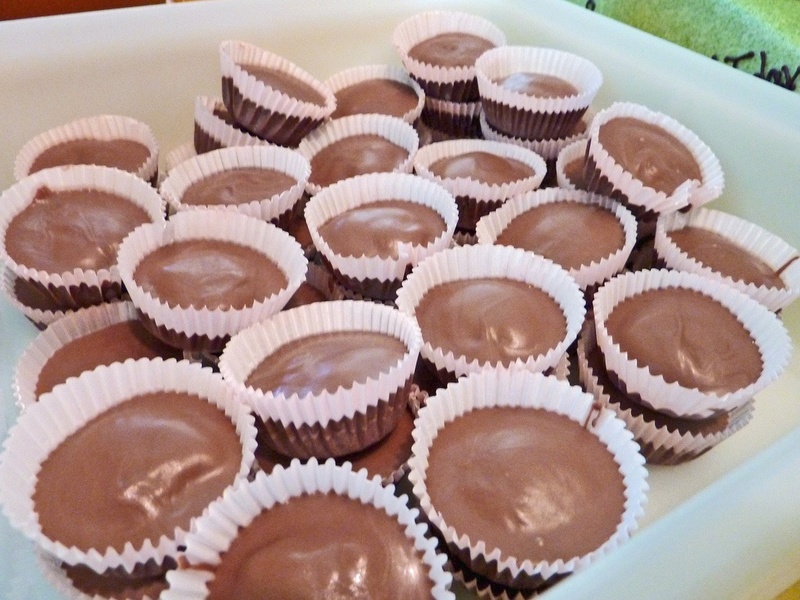 If you make them, be warned they’re half the size of the Reese’s peanut butter cups so you’ll gobble them down. I’ve seen cousins eat a dozen at once. And, you owe me two from the first batch as a royalty. 1. Melt chocolate on stove. 2. Spoon into greased cups for base. 3. Mix other ingredients in bowl. This entry was posted in Washington life and tagged peanut butter cups, recipe, Velatis. Bookmark the permalink.